Renewable power generation is on the rise worldwide, and in 2015, renewables were, for the first time, responsible for more than 50% of added capacity globally, exceeding fossil fuels and nuclear (1). 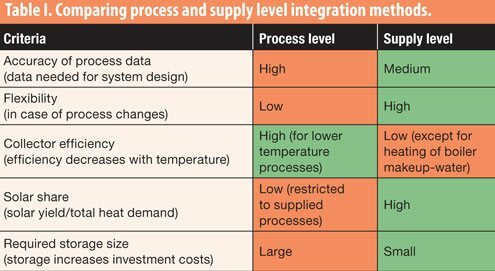 The heating market lags behind in the adaptation of renewables in general, and this trend holds especially true for industrial process heating. Renewable solutions can reduce fossil fuel consumption and carbon dioxide (CO2) emissions in process heating. In pharmaceutical manufacturing, process heating represents a significant opportunity for improvement, because the process heating supply accounts for approximately two-thirds of the total final energy demand from a manufacturing site (2). Major pharmaceutical companies around the world have announced ambitious targets for their future energy use (3), and an increased uptake of solar process heating is expected in this sector. In addition to energy collected by solar collectors, biomass and geothermal sources can be used for process heating; however, they are ultimately limited. Despite being in its infancy today, industrial process heating is predicted by the International Energy Agency to be the largest application of solar thermal technologies in the future (4). Solar thermal technologies are applied by pharmaceutical companies around the world today, as the three case studies in this article illustrate. 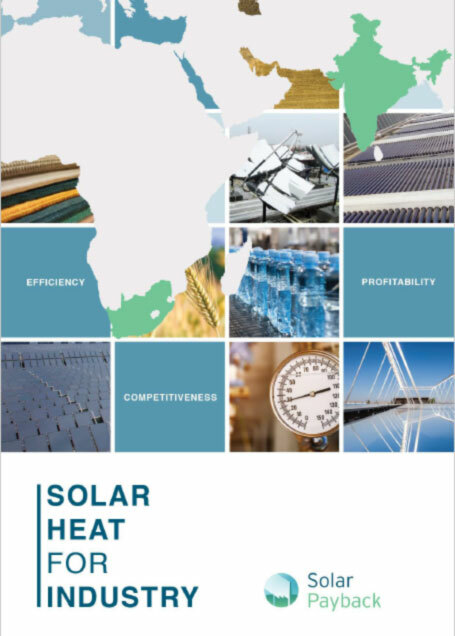 Developing solar process heating projects requires both cost-effective generation of solar heat and an efficient integration into the existing heat supply. Thus, a profound understanding of the heat supply as well as the various processes, their specific temperatures, and the load profile(s) are important. 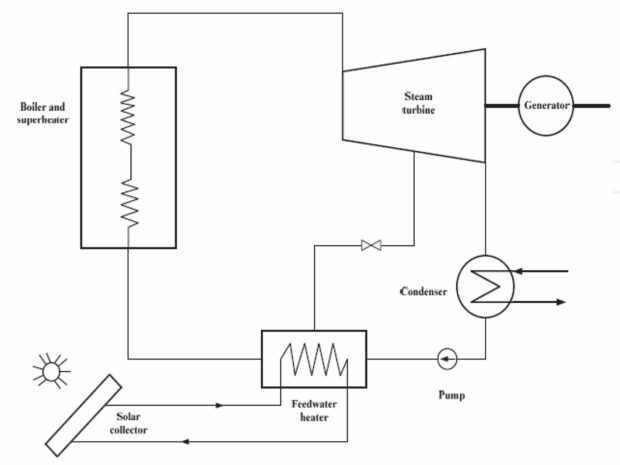 Two different integration approaches for solar process—supply level and process level—can be used, as shown in Figure 1. 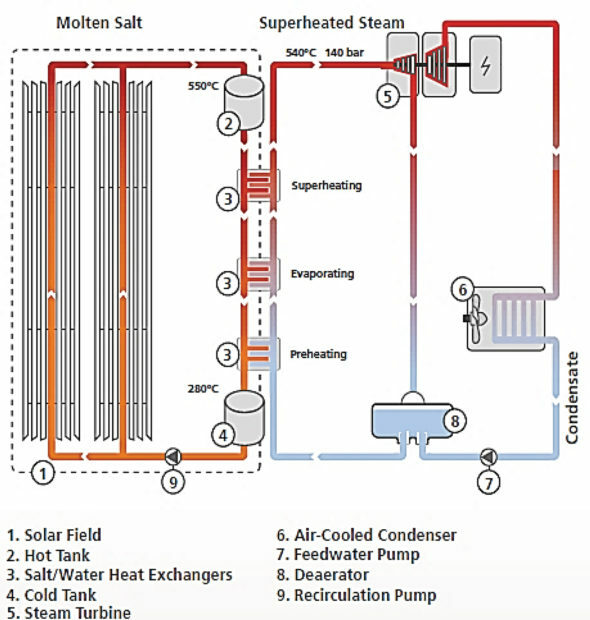 Figure 1: Solar thermal energy can be integrated directly as process heat or indirectly as supply heat. Figures are courtesy of the author.Both need to be further specified by the heat carrier and type of heat exchange applied, for example. The two approaches differ mainly in respect to the temperature and flow rate of the heat carrier, which results in different plant designs and yields. Six major criteria for selecting an integration approach and an indicative evaluation are depicted in Table I. 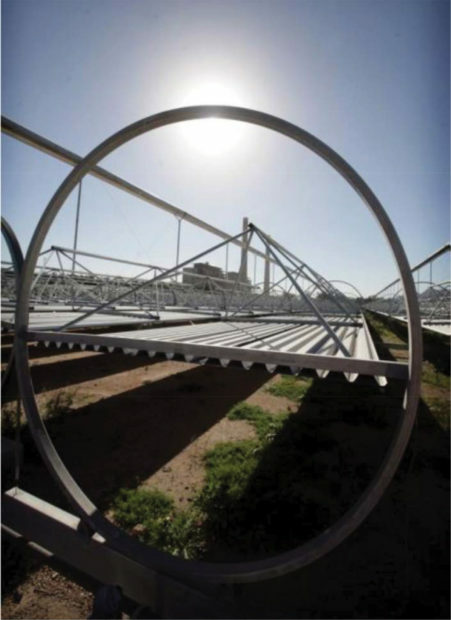 Defining an integration concept is inevitably linked to the choice of the collector technology–most importantly, the selection between non-concentrating and concentrating solar thermal collectors. 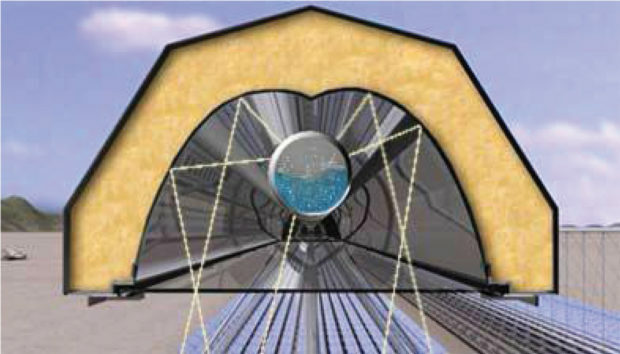 In the first, the heat carrier circulates through the collector and is heated directly by the solar irradiation. The earliest type was the flat plate collector, in which pipes are placed in isolated boxes with a glass cover on top. More common today are evacuated tube collectors, in which the heat carrier circulates through pipes covered by an evacuated glass to reduce the heat losses. Both concepts are simple in design, but because their efficiency drops with increasing temperatures, a cost-effective application is limited to temperatures below 100 °C. Concentrating collectors, on the other hand, concentrate the sunlight with reflective surfaces on smaller absorbers and thereby can achieve temperatures even above 300 °C. This technology is more complex, especially as the collectors need to be moved to track the sun, and its application is spatially limited to regions with a reasonable share of direct (non-diffuse) irradiation. The following three examples show that solar process heating is already applied in the pharmaceutical sector, using different collector technologies and integration concepts. Sunil Healthcare, the second largest Indian manufacturer of capsule shells, located in Alwar, Rajasthan, uses flat-plate collector solar thermal energy for hot water generation. For capsule production, the company needs to prepare a gel at approximately 75 °C. Previously, the heat was provided by a diesel boiler. To reduce carbon emissions, the company installed 70 flat-plate collectors with a total aperture area of 147 m², a thermal capacity of 100 kW, and a hot water storage with 6.5-m³ capacity. Because the solar heat is only fed to the gel preparation, the integration is process linked. During sunny days, this system can cover the largest share of heat demand, while the boiler provides the remaining, when needed. Another approach was taken by RAM Pharma in Sahab, Jordan. 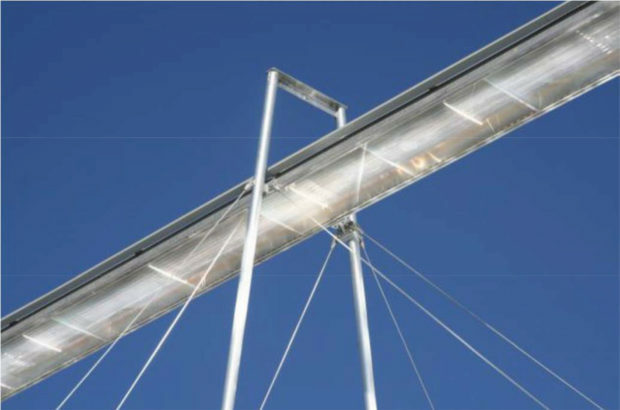 Flexibility in respect to the use of the solar thermal energy was important, and because Jordan has a high share of direct solar irradiation, the company decided to install concentrating solar collectors, which provide heat at the supply level. A Fresnel collector system with an aperture area of 400 m² and a capacity of 230 kWth for direct steam generation was installed on the warehouse roof. 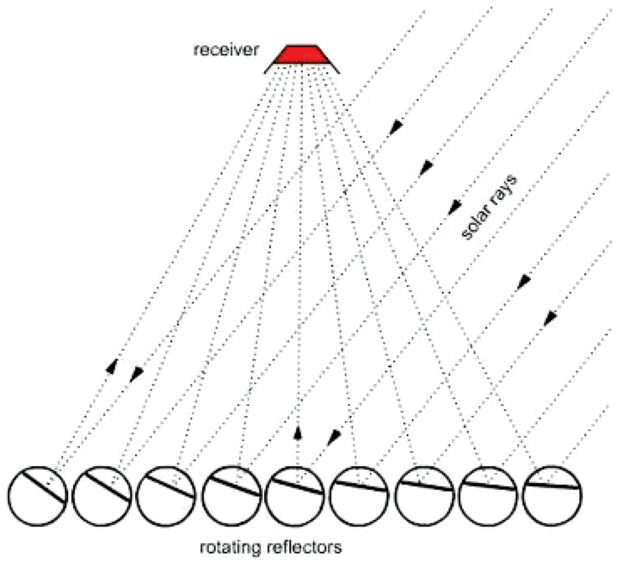 Fresnel collectors use uniaxially tracked mirrors to concentrate sunlight on an absorber tube in which the heat transfer medium can reach temperatures of up to 400 °C. The installation at RAM Pharma uses direct solar steam generation, which means that no additional heat exchangers are used. The water partly evaporates in the absorber tube and is fed to buffer storage from which steam at 160 °C is directly released to the company steam grid. Such a steam drum offers further benefits to its users. It increases the capacity (because during peak demand the boiler and drum work in parallel) and smooths the pressure fluctuations within the steam supply, because the control valve can react more quickly than most fuel-fired boilers. Within the scope of a rearrangement of processes and the implementation of continuous production, Pfizer Manufacturing Deutschland GmbH in Freiburg (Germany) installed a solar drying system for air-conditioning in the production facilities. Unlike most solar thermal installations, which use water or a water-glycol mix, the Solar Thermal Air Regeneration (STAR) 2 system uses air as a heat carrier. Four collector fields with (in total) 20 collectors and an aperture area of 110 m² were installed on the roof of the factory. The humid air from the production area streams through a sorption wheel where the humidity is dissipated to a desiccant. The sorption wheel is comprised of a wavelike fiberglass structure that contains the desiccant. It turns slowly, passing through a separated area where heated air, needed for regeneration, streams through the wheel. The humidity collected in the desiccant is removed (i.e., regeneration), the wet air is released to the outside, and the process starts again. The energy required for regeneration is fully or partially provided by the solar thermal collectors. In total, the STAR 2 system reduces CO2 emissions by 36 tons of CO2 annually, which is approximately as much as the combustion of 9000 L of diesel fuel. When referring to this article, please cite it as M. Haagen, ” Using Solar Energy for Process Heating,” Pharmaceutical Technology 41 (4) 2017. Martin Haagen is business development manager at Industrial Solar, Freiburg, Germany, Tel: 49.761.767111.24. martin.haagen@industrial-solar.de. Rioglass Solar, leading manufacturer of HCE receivers and mirrors used for Solar Thermal Energy (STE) and Concentrated Photovoltaic (CPV) technologies, has signed an agreemente with Schott Solar CSP GmbH (Schott Solar), for the acquisition of its receiver business, including the company in Spain and the assets in Germany. CONCENTRATED SOLAR Technology Platform organized within the First Symposium on Concentrated Solar Thermal Technology held on 3 and 4 November a round table for medium temperature. There is an important niche market for industrial process heat and building heating and cooling systems. Spain needs to maintain its leadership position in concentrating solar technologies and take the opportunity of the new deployment of medium temperature applications. For this the existing knowledge, research capability and strong Spanish industrial foundation in these technologies needs to be capitalised. 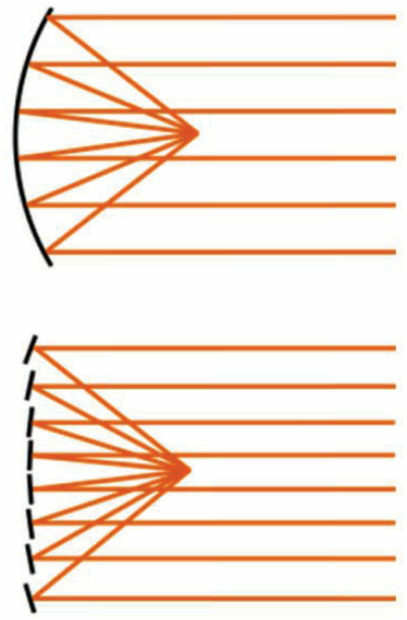 A variety of applicable technologies currently exist, such as absorber tubes and Fresnel and parabolic trough systems. However, there is still a limited offer of commercial products, especially as some of the most appropriate technologies for medium temperature are the least deployed worldwide up until this moment. The cost of solar thermal heat is in some cases already lower than that of conventional energy. There is a significant lack of understanding by possible users of the potential of medium temperature concentrating solar technologies. Communication, advocacy and promotion activities are therefore necessary. To effectively disseminate, educate, promote and deploy the technologies it´s imperative to count on innovative pilots. These pilots require direct public funding support, innovative public procurement is proposed as the most adequate mechanism. Highlighted is the important advocacy and promotion role that energy service companies can play in the deployment of these technologies. It is necessary that financial institutions understand these technologies. With this in mind they are one of the main targets in the promotion endeavors, with the focus of proving them with information on the technical and economic viability of these technologies. A few decades ago, in Spain, there were some developments in these technologies unfortunately there are no available results. This new phase will endeavor to document all valuable learning through correct monitoring and dissemination of key findings. Establish minimum technical requirements for design, assembly, installation, commissioning and maintenance. Foster the development of quality enterprises for installing and other energy services. Develop norms at national and international level that ensure the quality of the products and installation, as is customary in the majority of other sectors. Implement a prerequisite for companies to offer a minimum of 5 years guarantee for the efficiency and reliability of the installation. Have access to infrastructure for development and testing prototypes. Have the necessary capacity and resources for training enterprises in this sectors, such as engineering firms, installers, certification companies, etc. Establish a (Spanish) National Research Roadmap with the objective of reducing the costs of the systems and develop new systems and thermodynamic cycles. Petroleum Development Oman (PDO) and GlassPoint Solar have broken ground on their landmark solar project ‘Miraah’. The site preparation and grading for the project, located at Amal oil field in southern Oman, began one month ahead of schedule. Miraah, which means mirror in Arabic, will harness the sun’s energy to produce steam used in heavy oil production. In July, the two companies announced a deal to build one of the world’s largest solar plants, which at its peak will be able to generate in excess of one gigawatt of solar thermal energy. “PDO is proud to lead the industry in deploying innovative solutions that allow us to develop our heavy oil while at the same time reduce our energy consumption and our costs. Miraah will provide a substantial amount of the steam demand at Amal, reducing our reliance on natural gas to make steam. The gas saved can be used by other industries to support Oman’s diversification and economic growth strategies,” Restucci added. The site grading is being performed by a Local Community Contractor (LCC) owned and operated by Omanis that live in the communities surrounding Amal field. Developing a local Omani workforce and job opportunities for local contractors and small business is part of PDO’s and GlassPoint’s joint commitment to In-country Value. “Miraah will generate significant value for the Sultanate by creating new opportunities in supply chain development, manufacturing capacity, employment and training. We are committed to working with local contractors throughout the value chain, from construction to the sourcing of local materials,” MacGregor emphasized. Once complete, Miraah will generate an average of 6,000 tons of solar steam daily for oil production. The use of solar for oil recovery is a long-term strategy to develop PDO’s viscous oil portfolio and reduce consumption of natural gas. Miraah will save 5.6 trillion British Thermal Units (BTUs) of natural gas each year, the amount of gas that could be used to provide residential electricity to 209,000 people in Oman. The full-scale project will comprise 36 glasshouses, built in succession and commissioned in modules of four. The first module will begin generating steam in 2017. Upon completion, the total project area will span three-square kilometers, an area equivalent to more than 360 football pitches. PDO and GlassPoint will be exhibiting together at the Abu Dhabi International Petroleum Exhibition (ADIPEC) next week. The booth will feature a 3D virtual reality tour of Miraah, transporting visitors to south Oman to see the scale of the project and technology up-close. PDO and GlassPoint are nominated for an ADIPEC Award in the “Best Oil and Gas Innovation or Technology (Surface)” category. As part of Secretary John Kerry’s Climate and Clean Energy Investment Forum, the Overseas Private Investment Corporation (OPIC) today signed an agreement with U.S. based energy developer SolarReserve and ACWA Power, recognizing OPIC’s $400 million commitment of debt financing to support the development of the Redstone Concentrating Solar Power (CSP) project in Northern Cape, South Africa. The Redstone project is a 100 megawatt (MW) clean energy facility that will be connected to the South African national grid. Using SolarReserve’s cutting-edge CSP technology, Redstone’s molten salt storage capability will deliver consistent baseload electricity, even after the sun sets. This is a critical development in a country where frequent power outages have been cited as an obstacle to economic growth. OPIC support to the Redstone project is also a significant milestone for President Obama’s Power Africa initiative, of which OPIC is a key contributor. Power Africa aims to bring new power access to the more than 600 million sub-Saharan Africans currently living without energy access. “The Redstone CSP Project, ACWA Power’s 2nd project in South Africa, delivers dispatchable power at the most competitive tariff offered in its Renewable Energy Independent Power Producer Procurement Programme (REIPPPP) program to date for CSP technology, while maximizing value retention in not only the South African economy, but also within the local economy in the project vicinity. Quite apart from the socio-economic contribution this project will make to South Africa, the first time deployment of CSP Tower technology in the country using a project finance framework, which was made possible by the galvanizing leadership of OPIC financing, will enable this very important clean energy technology to be deployed at scale and at a faster pace than otherwise would have been possible,” said Paddy Padmanathan, President and CEO of ACWA Power. OPIC’s financing to the Redstone project helps fulfill both the U.S. commitment to clean energy in the developing world as well as South Africa’s own goals through their Renewable Energy Independent Power Producer Procurement Programme (REIPPPP), which aims to add 3,725 MW of clean power to South Africa’s energy generation mix. different lines of research R & D in Solar Thermoelectric. This document is in Spanish.